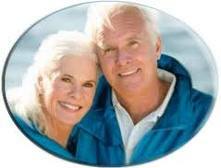 Physical Therapist Role in Home Health Care - How we help. How we hinder. where we end and you begin. The physical therapist role in home health care is often muddled, unclear and difficult for some to define. As health care professionals working in the home health care setting, we know it is a privilege to come into your home and work with you on your turf. Often we become so wrapped up in our desire to help you reach your goals that the professional physical therapy role sometimes turns into a "baby sitter," a "respite," a "Savior," or a "miracle worker" role. The various positions that a Physical Therapist role can assume can migrate into depends on us and on the patients. PT's need to be able to set firm but gentle boundaries and define their role from the beginning. The physical therapist role in home care PT is to evaluate, treat, estimate prognosis, assist in diagnosis and encourage and teach patients what to do to reach goals and become independent. PT's evaluate the patients condition, determine trouble spots and then develop a plan of care to work towards goals that address those trouble spots. This sounds very straight forward on paper until you get into the dynamics of each patient in each home. It's not always so cut and dried. Many patients will tell you whatever they think you want to hear or need to hear to keep you coming back. Some patients will tell you that they are doing their home exercise programs when the caregiver will tell you differently. PT's are able to determine if exercise programs are getting done by the patient just by observing improvement or a lack of improvement. Some patients will expect you to work with them until they are 100% better - this is technically never possible, however, patients often will tell me that they are ready for graduation and feel back to "normal" sometimes before I think they are. Some caregivers will expect you to work with the patient while they run off to get groceries or run errands. This is unacceptable as caregivers need to be a part of the teaching process...remember, home health care is short term. I've seen it all and heard it all in my many many years of practicing home health care physical therapy. And it's taken me almost as long to remember that I am not responsible for the ultimate outcome of any patient. Age and it's 'gifts' are always against me. Disease processes can be against me. The diet of the patient always affects the patient and will ultimately affect their entire outcome. Patients have the right to refuse care and understand the consequences of refusing care. Sometimes patients are very depressed, have lived a long life and have no desire to "get better" since they feel they have nothing to look forward to. Depression is a physical therapist worst enemy... motivation is almost impossible. The physical therapist role in the above situations simply needs to remain encouraging but constant and firm. Patients should expect the physical therapist to teach them what they need to know to reach their goals. We then progress the patient as they progress but the PT can not take the burden of lack of compliance or motivation upon themselves. Patients have the right to refuse to participate in the plan of care. However, this as well as a lack of progress demands discharge. I like to help patients understand that most of their rehab depends on them. If they only work 2-3x a week when the physical therapist is there expecting to get stronger, that is like eating only 2-3 meals a week and expecting to gain weight. In summary, the physical therapist role can be defined as the messenger imparting knowledge and know how to reach individual physical therapy goals. We love our patients, we get attached to them and many stamp our hearts for years to come. We as physical therapists what to impress your hearts too - but you will never feel that we did our job unless you do your part as well. 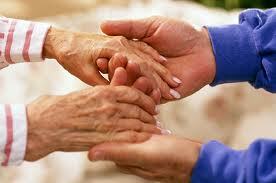 Take the responsibility that you must to work hand in hand with your physical therapist. It's makes our work enjoyable and satisfying to know that YOU want us at your home!